Let me apologize in advance to anyone who sent information about a show I didn’t have space to cover this week, but there’s so much going on, it’s nuts! 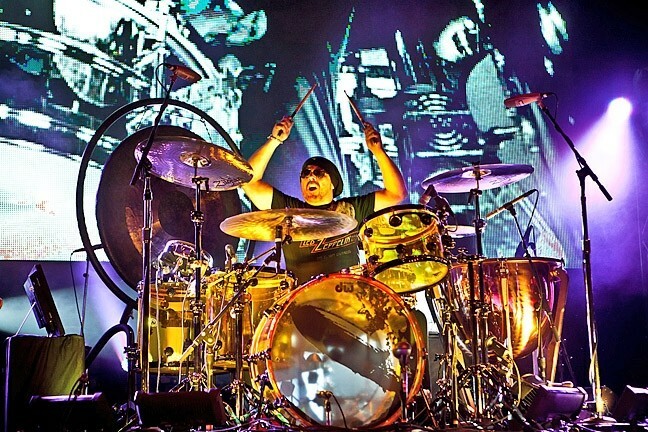 LED ZEPPELIN EXPERIENCE: Jason Bonham pays tribute to his father, Led Zeppelin drummer John Bonham, May 14, at Vina Robles Amphitheatre. Let’s start with Vina Robles Amphitheatre and its season debut, Jason Bonham’s Led Zeppelin Experience on Saturday, May 14 (8 p.m.; all ages; $35 to $45 at vinaroblesamphitheatre.com). Jason is, of course, son of famed Led Zeppelin drummer John Bonham. Like his dad, Jason delivers speed, power, and booming bass drums. Jason appeared with his dad in the film The Song Remains the Same, where he drummed on a small kit. He joined his first band, Airrace, when he was 17, later joining Virginia Wolf and recording two albums. After joining Zep guitarist Jimmy Page on his Outsider album and tour in 1988, Jason was invited to play with the three surviving Led Zeppelin members when they played Atlantic Records 40th Anniversary Concert that same year. His Led Zeppelin Experience show features hits from the band’s entire career, including material from Led Zeppelin, Led Zeppelin II, Led Zeppelin IV, and Physical Graffiti. Jason’s worked with an A-list of performers: Queen, Meat Loaf, Ted Nugent, AC/DC, Paul Rogers, Slash, Jeff Beck, The Healing Sixes, and more. He’s also the creator of Name of My Father—The Zepset CD, a solo project with proceeds donated to charity. Aside from Jason Bonham’s Led Zeppelin Experience, he currently plays with Sammy Hagar’s super group The Circle, which also features former Van Halen bassist Michael Anthony, and Vic Johnson. Visit Vina’s website to see the venue’s growing list of upcoming concerts, everyone from Lee Brice (June 5) to Chicago (June 29) to Boy George and Culture Club (Aug. 20). Numbskull and Good Medicine Presents! 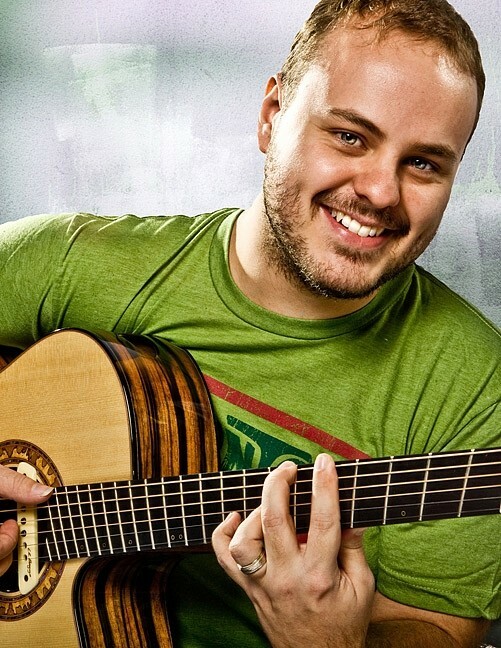 ACOUSTIC GUITAR MASTER: The amazing Andy McKee plays Treana Tasting Cellar on May 14. 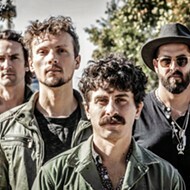 As if they’re willing summer and the winery concert season to come, the Good Medicine crew has teed up a ton of great shows in the North County vineyards starting this Friday, May 13, with The Coffis Brothers at Tooth & Nail Winery (5 p.m.; free). 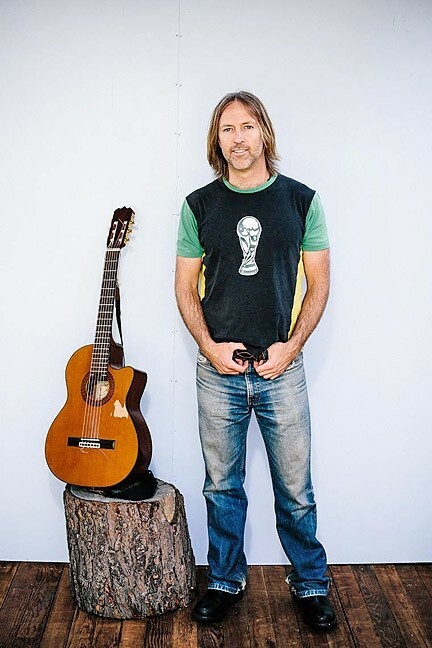 Playing rootsy rock ’n’ roll from the Santa Cruz Mountains, songwriters Jamie and Kellen Coffis were clearly inspired by their childhood heroes, Tom Petty, Neil Young, and The Beatles. Unique acoustic artist Andy McKee plays this Saturday, May 14, at Treana Tasting Cellar on his The Next Chapter Tour (6:30; all ages; $25 presale at ticketfly.com and Boo Boo Records, or $30 at the door). McKee can make his guitar “approximate the polyrhythmic interplay of a percussion ensemble, the harmonic sweep of a string section, the dazzling runs of a bluegrass doghouse bass-and-banjo duo, and virtually anything else his pastoral compositions and tasteful covers require,” according to his bio, which said it better than I could. He’s a real virtuoso, using unusual tunings and a two-hand tap technique on strange-looking instruments specially created for him. His playing is so unique, it’s not even hard to believe he’s self-taught: He’s a musician who found his own way to make music. Mark your calendar for a Tooth & Nail hat trick when Good Medicine & Co. bring three great performers to the venue over three days starting Thursday, May 19, with amazing country songwriter Phil Vassar (6 p.m.; 21-and-older; $30 presale at ticketfly.com or $35 at the door). On Friday, May 20, it’s Nicki Bluhm and the Gramblers (6 p.m.; 21-and-older; $25 presale or $30 at the door), and on Saturday, May 21, it’s Sweet and Tender Hooligans, a Smiths/Morrissey tribute act (6 p.m.; 21-and-older; $14 presale or $16 at the door). 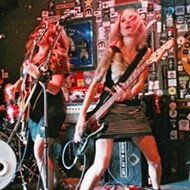 Visit goodmedicinepresents.com for all their upcoming concerts. NOLA STYLE! 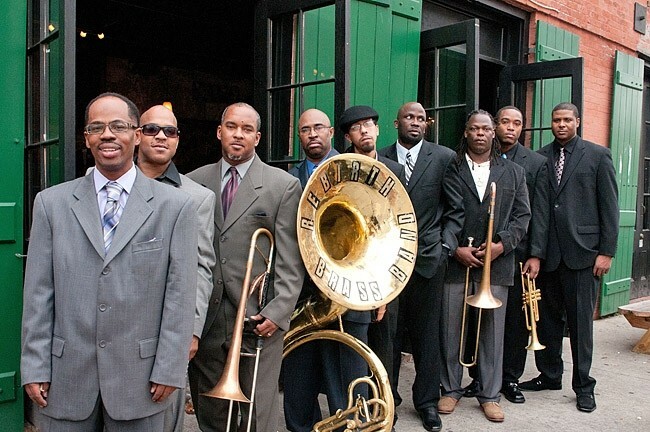 : Second line masters the Rebirth Brass Band close out the daylong SLO Jazz Festival at SLO’s Mission Plaza on May 14. Now in its third year, the SLO Jazz Festival just keeps getting bigger and better, and I just checked the weather for this Saturday, May 14, and SLO Mission Plaza should be 77 degrees and sunny! Of course, since this daylong festival runs from 11 a.m. until 10 p.m., you may need a sweater as the sun descends. John Worley’s Mo Chi Sextet will perform the classic Miles Davis album Kind of Blue and more from 2 to 3:30 p.m. Worley’s list of collaborators is long and star-studded: Mel Torme, Ella Fitzgerald, Don Byron, Wayne Shorter with the Monterey Jazz Festival Chamber Orchestra, the Carla Bley and Steve Swallow Big Band, Wayne Wallace, Jon Jang, the Asian American Orchestra, Dave Pell Octet, Pete and Sheila Escovedo, Malo, and Lila Downs. 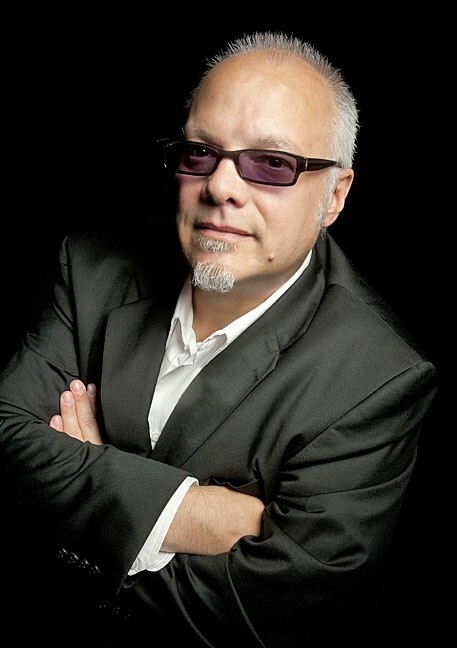 BLUES BROTHER : Curtis Salgado, credited with helping John Belushi create “Joliet” Jake Blues, plays the SLO Vets Hall on May 14. 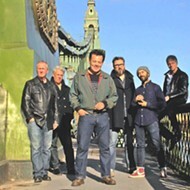 Grammy Award-winning percussionist Airto Moreira & Eyedentity, featuring Diana Purim, will display their incredible improvisation skills as they delve into Afro-Brazilian, samba, funk, and jazz fusion from 4 to 5:30 p.m. Airto’s recorded with the likes of Miles Davis, Weather Report, and Chick Corea. Purim, his daughter, is on vocals. Expect some incredible stuff. Grammy-nominated Pete Escovedo Latin Jazz Orchestra will continue the percussive genius on display, concentrating on smooth jazz, salsa, and contemporary sounds from 6:30 to 8 p.m. He’s played for President Obama at the White House twice! Good enough for me. It’ll be a beautiful day in the plaza! PLAYING FOR THE ROCK! : Próxima Parada is one of 10 performers playing a benefit concert for community radio station 97.3 FM The Rock on May 13, at the Morro Bay Vets Hall. I’m a sucker for old-school R&B complete with back-up singers and horns, which is why Alligator Records recording artist Curtis Salgado and his new album The Sweet Lowdown is right up my alley. The award-winning soul, blues, and R&B vocalist-harmonicist-songwriter will celebrate the April 8 release of his new album with a live performance at the SLO Vets Hall this Saturday, May 14 (8 p.m.; 21-and-older; $25 at the door). GO WEST! : Western Swing act The Carolyn Sills Combo plays Frog and Peach on May 12. Did you know Salgado was befriended by John Belushi in 1977 when he was in Oregon filming Animal House, and that Salgado’s performances as well as his record collection and advice helped transform John Belushi into “Joliet” Jake Blues of the Blues Brothers? After the success of the SNL Blues Brothers skit, Belushi released the best-selling record album (which was dedicated to Curtis) and The Blues Brothers motion picture (Cab Calloway’s character was named Curtis as an homage). Salgado also co-fronted The Robert Cray Band before heading off in his own direction and recording nine solo albums. The man’s got a powerhouse voice and tons of charisma spanning a 40-year career! 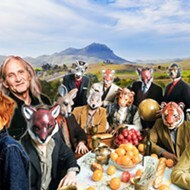 This is a great new album and I suspect this will be an amazing live show. Local blues powerhouse Guy Budd and the Gypsy Souls with incredible vocalist Inga Swearingen will open the show. The little station that could! This Friday, May 13, come out and support an old-school radio station, you know, the kind with live DJs spinning records and taking requests and talking right to you, the listeners. FOLK-N-SOAK! : Franklin Hot Springs hosts a 24-hour folk music festival May 14 to 15, where attendees can soak in the mineral springs, camp, and enjoy live music! The second annual Fundraiser Bash for 97.3 FM The Rock is scheduled for 6 p.m. in the Morro Bay Vets Hall (free; all ages; bring an ID if you want to buy beer from Firestone Walker), and they’re trying to raise enough money for operating costs for the all-volunteer community radio station. Hear performances by the Tim Costa Drum Circle, Wood, Back Bay Betty, Jon Millsap and In The Midst, Roundhouse, The Mystery Brothers, Vincent Bernardy, Próxima Parada, Matthias Clark, and from the Steve Miller Band, Kenny Lee Lewis! If you can’t make the show or donate in person, go to EsteroBayRadio.com and click the “DONATE” button. Keep local radio alive, Morro Bay! 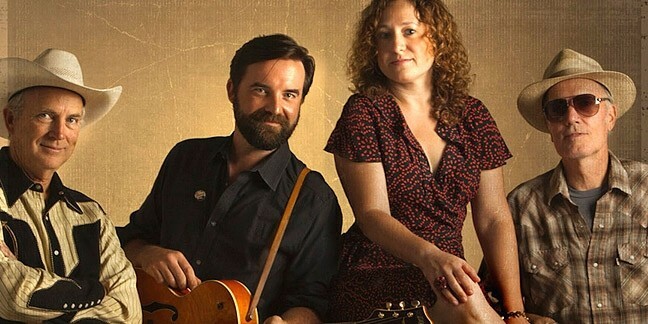 Awesome Western swing act The Carolyn Sills Combo plays Frog and Peach this Thursday, May 12 (9 p.m.; 21-and-older; free), just a couple weeks before their new album, Dime Stories Vol. 2, is set for release on May 27. 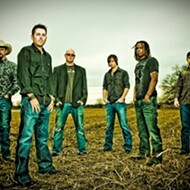 This band is a 2016 Ameripolitan Music Award Nominee for Western Swing Group. Yippee-kai-oh! AUTHENIC IRELAND: Celtic Woman brings their amazing show to the SLO-PAC on May 18. Cal Poly Arts & Otter Productions Inc. present Celtic Woman this Wednesday, May 18, in the Performing Arts Center (7:30 p.m.; all ages; $50 to $90 at 756-4849 or pacslo.org). The multi-platinum Irish music sensation has seen its recordings top Billboard’s World Music Albums chart a whopping six times! Their brand new show, Destiny, celebrates the simultaneous release of their new album and DVD, also titled Destiny. This will be an authentic taste of Ireland!